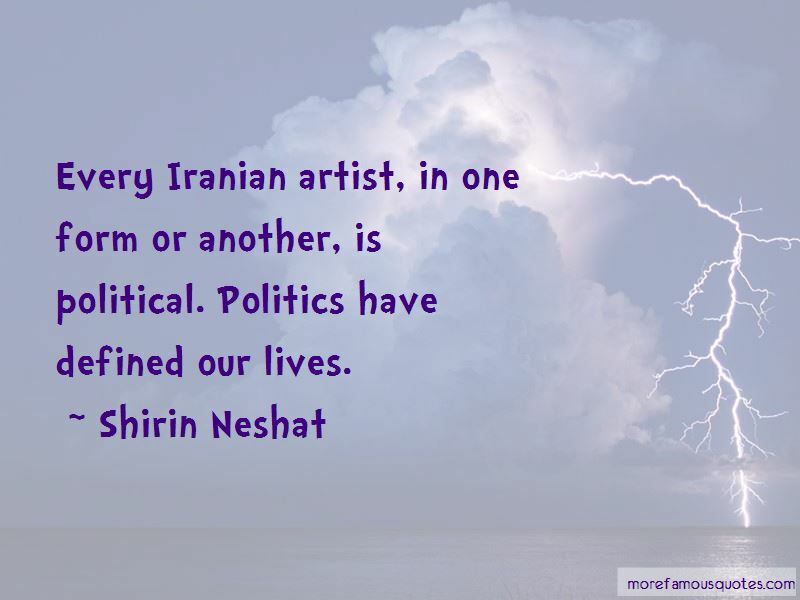 Enjoy the top 19 famous quotes, sayings and quotations by Shirin Neshat. I believe we don't need to widen the divide between the West and Islam. Rather, we need to build dialogue to encourage tolerance and respect. 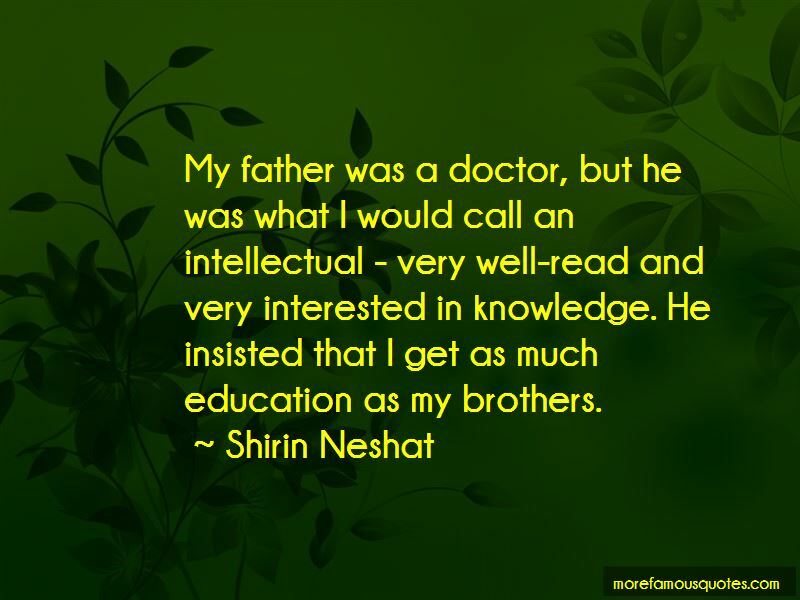 My father was a doctor, but he was what I would call an intellectual - very well-read and very interested in knowledge. He insisted that I get as much education as my brothers. Art is our weapon. Culture is a form of resistance. In this Western world that we have, culture risks being [only] a form of entertainment. 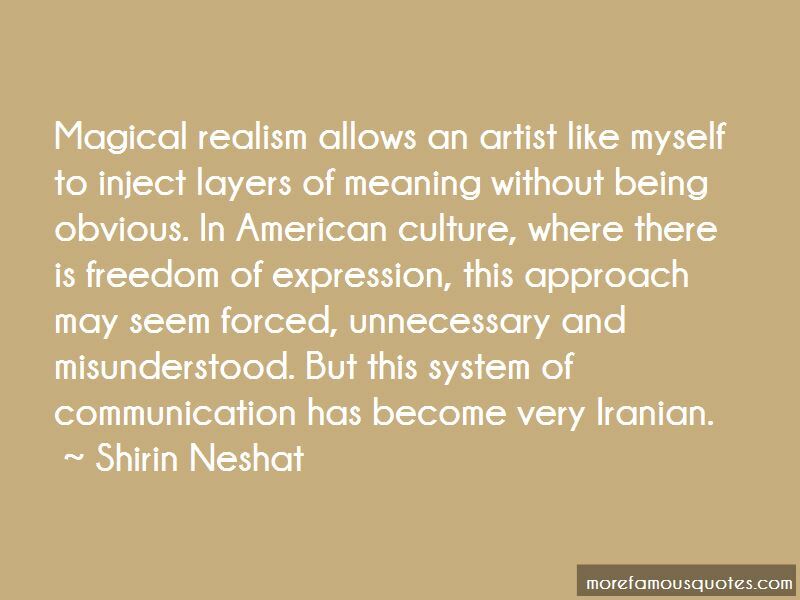 Want to see more pictures of Shirin Neshat quotes? 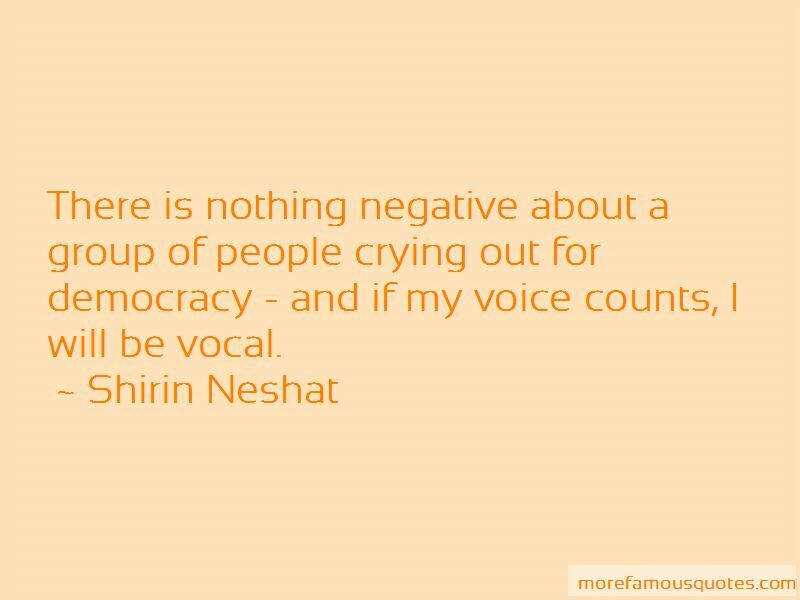 Click on image of Shirin Neshat quotes to view full size.